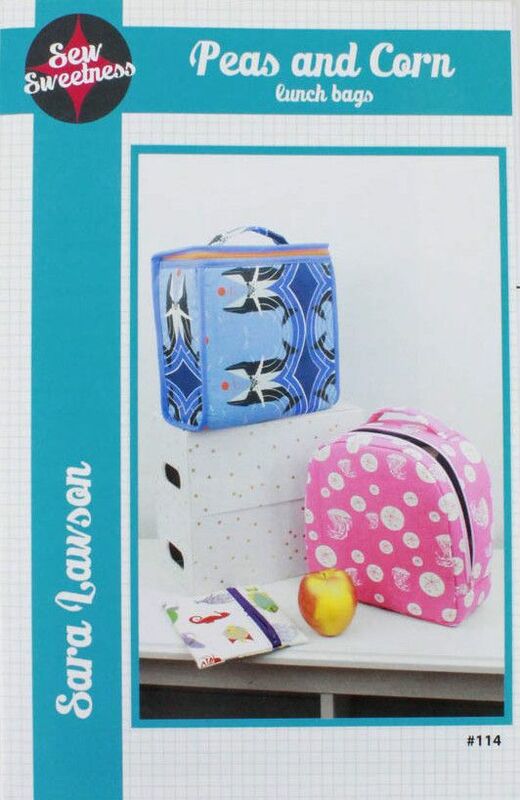 These insulated lunch bags are the perfect break to the day! 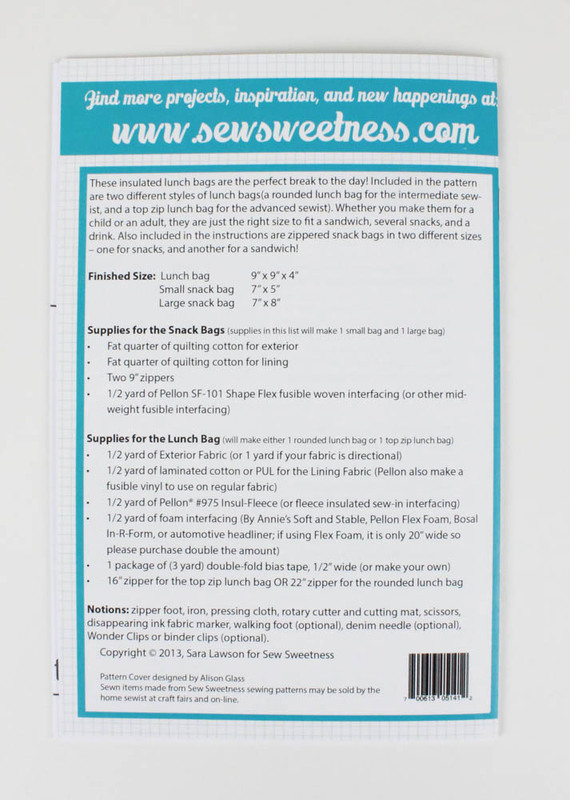 Included in the pattern are two different styles of lunch bags(a rounded lunch bag for the intermediate sewist, and a top zip lunch bag for the advanced sewist). 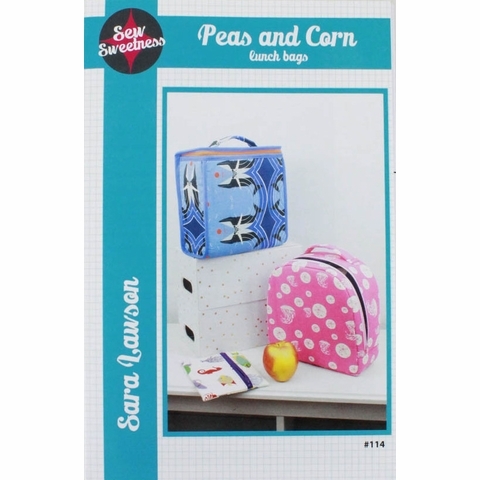 Whether you make them for a child or an adult, they are just the right size to fit a sandwich, several snacks, and a drink. 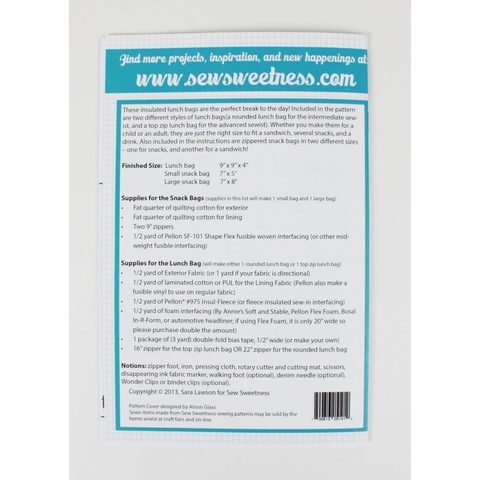 Also included in the instructions are zippered snack bags in two different sizes – one for snacks, and another for a sandwich!